What are you doing or making for July 4th? I plan to eat a burger or hot dog of some sort, drink a refreshing beverage and wear red white and blue. It doesn't get any more American than that, does it? Isn't it beautiful? 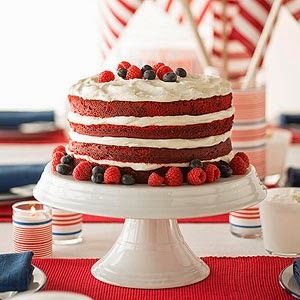 It's a Striped Red Velvet Cake and you can find out how to make it HERE at Better Homes and Gardens. It looks more complicated than it is, you just make 2 Red Velvet layers and cut them in half. Then whip up some cream cheese frosting (OMG) and spread it between the layers. I love the unfinished look of the cake, it's simply gorgeous! 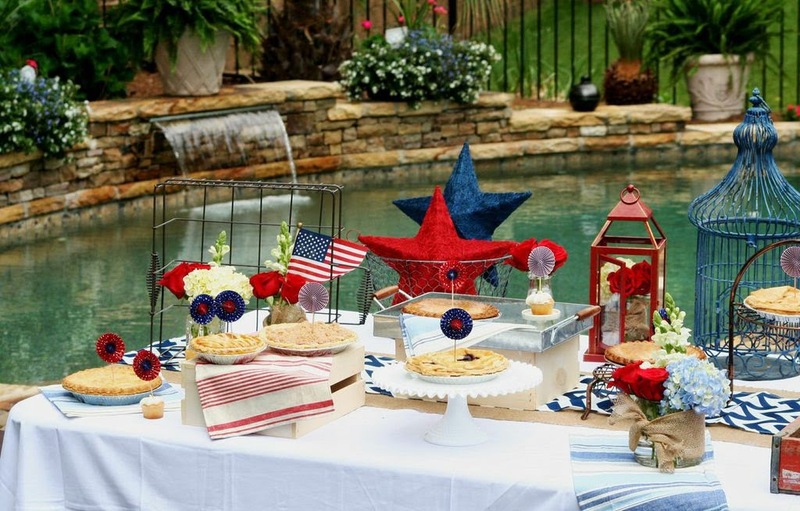 And if you need decorating inspiration for your Independence Day soiree, look no further than my Rust 4th of July styled shoot over on MomTrends! 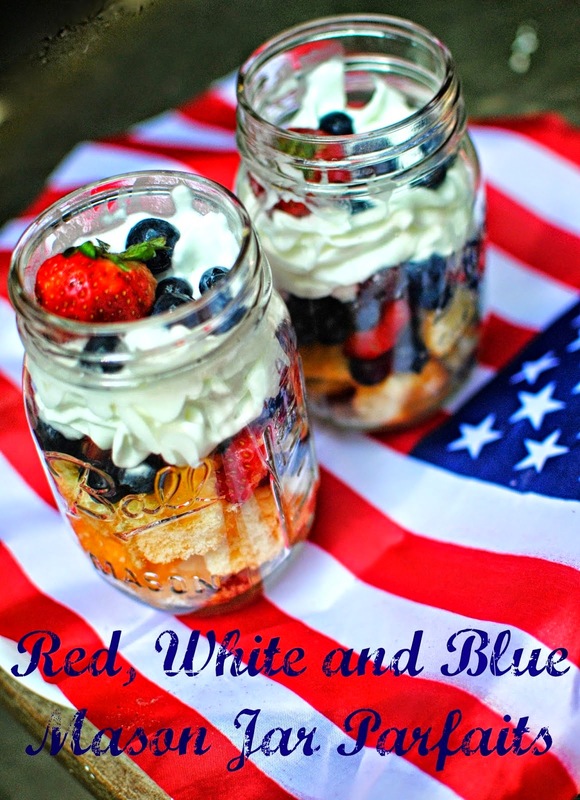 It's overflowing with patriotic flare and easy DIYs. I hope your 4th of July is filled with food, friends and fireworks! This is an awesome post. Really informative and creative content. This concept is a good way to enhance the knowledge. I like it and help me to development very well. custom dissertation writing service Thank you for this brief explanation and very nice information. Well, got a good knowledge.